Here comes another pumpkin recipe! I thought I made a similar bread last fall, but couldn’t find the recipe… so I made a new one. I love this recipe… great paired with a cup of coffee on a lazy weekend morning. I especially love the mini chocolate chips! Stir until they are well blended. Pour into a greased bread pan. Bake at 350 degrees for about 50 minutes, until a toothpick comes out clean. Let cool, then slice and serve with your favorite breakfast. 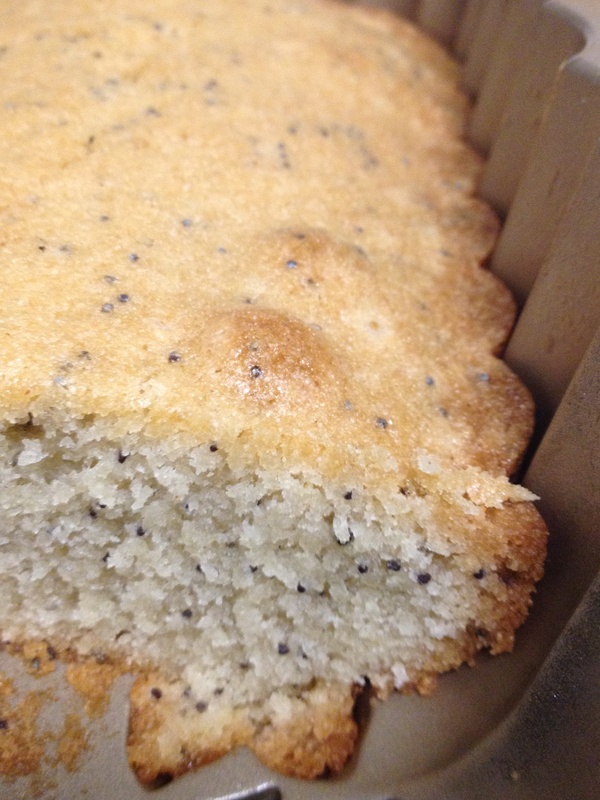 My mom’s poppy seed bread was always a favorite of mine growing up. Her recipe always made two loaves- one to give away and one to keep. It is the perfect weekend treat! 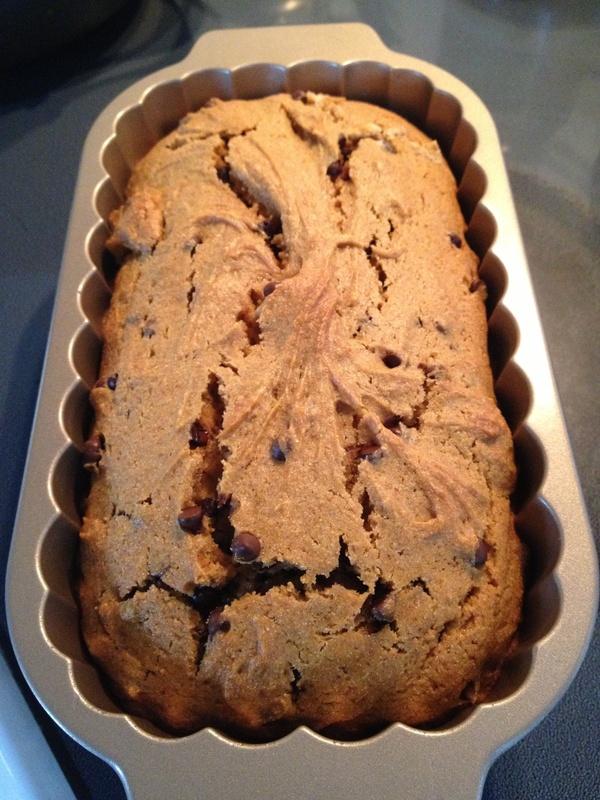 This weekend, I took on the challenge of making it gluten and dairy free… and succeeded. It has great texture as well as taste. This recipe makes one loaf. Bake at 350 degrees for about an hour, until edges turn brown and a toothpick comes out clean.